Intel commissioned me to design an installation which would "crack open" the Infamous Sydney Opera House. 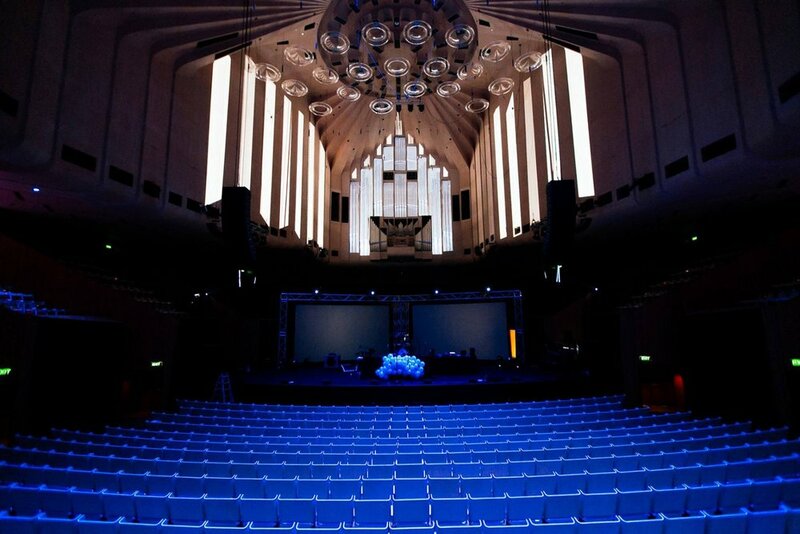 Sound Cells was directed by the radical team at VICE Australia and Sydney Opera House, featuring 3 mini live broadcast systems feeding signal directly from inside the Intel Broadcast Studio within the Sydney Opera House out to the Sound Cells Placed outsisde. The idea behind this installation would be to allow the general public to access shows playing inside the opera house, outside. To get the plastic element of the project we teamed up with Studio Kite to help us realise the designs. In the process we ended up printing the largest 3D print of its kind in Australia spanning 3.4m x 3m x 2m. Entirely printed from clear plastic. SAMSUNG and VICE commissioned me to develop a tech lead performance with a collection of bands and artists at the infamous Sydney Opera House. I designed a system which took OSC sound analysis data, Midi Triggers, and 3D motion capture to control a wide collection of visual art. Sydney Opera House loved it that much that they asked if we could bring it all together for a stage show inside the main concert hall. Sound + Vision was born. Across one night we created a live tech controlled show featuring three different musical acts, three different visual artists, and three technical set ups for 2500 people. The Sculpture for true life was based on a 3D Scan of a grain of Sodium Chloride, Salt. An ongoing large scale project working with many different aspects of natural world processes and how we can use them to effectively make new forms of artwork. True life lived for 23 days outside Pitt Street mall, Sydney for VIVID FESTIVAL and is currently touring selected locations. Work is currently underway with the Quantum computing labs of University of New South Wales and the faculty of bio medical sciences from the University of Sydney in an ground breaking new study. Watch this space.